An elegant and cute mini bottle with a personalised paper cut typography. Show your friends or loved ones what they mean to you in a special personalised message. Each mini bottle contains a unique delicately cut paper which rests in the mini bottle. The mini jar will be perfect on display on their desk to remind them what they mean to you! Personalise your message in 5 lines or less! Please note that each line can only fit a maximum of 6 letters. 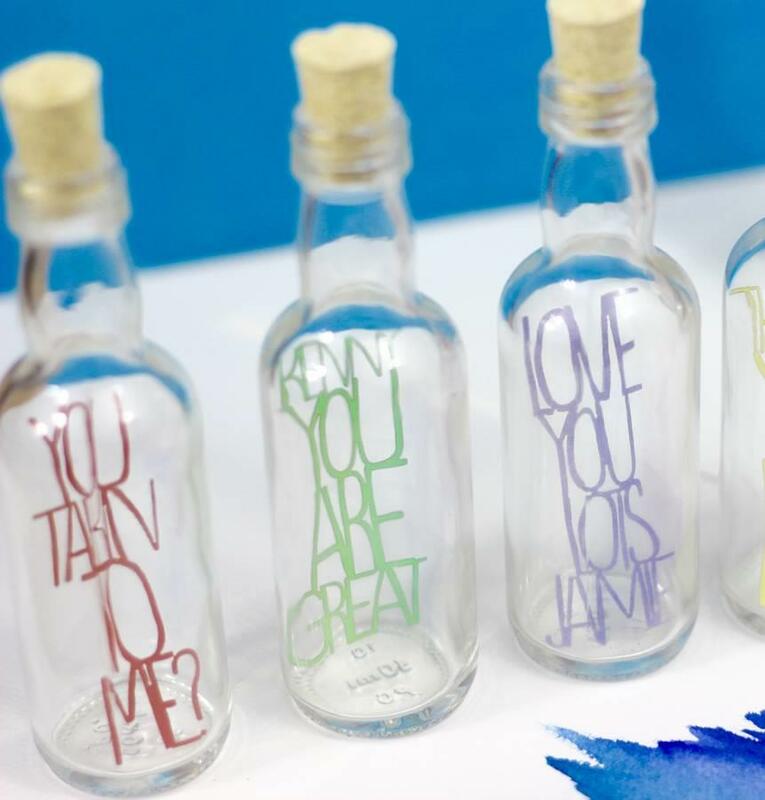 So be creative and make your own typography message in a bottle! Green Gift Monster is an online gift store based in Liverpool, owned by a small company called BEEcycle. We design and create unusual products with an eco-friendly twist, to help our customers with their gardening and recycling in an inventive, fun way. The gifts we create are meaningful, whilst still being eco-friendly. At Green Gift Monster, you can be sure we have something for everyone. Our collection includes products for the home and for children, as well as garden lovers. We even have a Christmas section, filled with unusual Christmas presents and ideas. Our garden products range from plant growing kits to message seeds and personalised plant pots. BEEcycle have expanded to accommodate the request for personalised gifts, as these products become more and more popular. We have a range of high quality gifts which can be personalised however you wish. These products include guitar pick holders and drumsticks, which you can easily personalise online. We aim to encourage customers to be more eco-friendly so we can create a better world for the future. For more information about our product range, call us today on 0151 707 1043 or email customers@beecycle.co.uk. All of our products are available to buy online and delivered throughout the UK. Our items are dispatched quickly and we use trusted, reliable services to ensure you receive your gifts as soon as possible. © 2016 BEEcycle Ltd. All rights reserved.